Welcome to the office of the Auglaize County Treasurer. Tax bills are mailed each year in mid-January and mid-June with payment due on February 15th and July 15th (or the first following business day if the 15th falls on a weekend or holiday). 2016 tax information is now available on the website and tax bills can be downloaded and reviewed. First half taxes are due February 15, 2019. Second half taxes are due July 15, 2019. 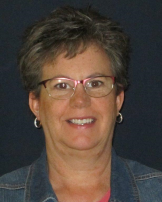 The Auglaize County Treasurer serves as Auglaize County's chief investment officer, the administrator of delinquent tax collections and the keeper of the property tax escrow account. The Treasurer serves as the county banker, safe keeper of all taxes and investor of local funds. View and pay your real estate tax bill. Start here. View current tax rates and calculations. Learn more. View and print official tax forms and documents. Learn more.